Law enforcement officials told Denver7 Friday that Chris Watts is in protective custody and being isolated from other inmates at the Weld County jail because of the publicity the case has received and say they still have several days of work to do before Monday’s deadline for charges to be filed. 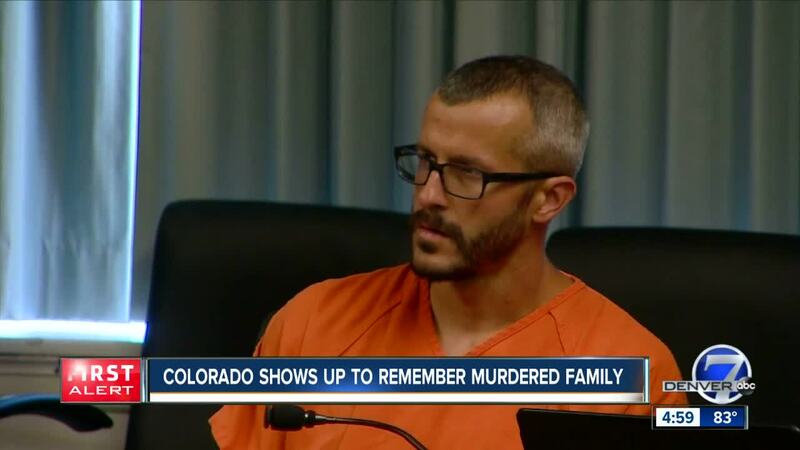 FREDERICK, Colo. – Law enforcement officials told Denver7 Friday that Chris Watts is in protective custody and being isolated from other inmates at the Weld County jail because of the publicity the case has received and say they still have several days of work to do before Monday’s deadline for charges to be filed. Watts, 33, who has been arrested and accused of killing his wife, Shanann, and their two young daughters earlier this week in Frederick, also has declined to speak with the media for the time being at the advice of his attorney, the Weld County Sheriff’s Office said. The sheriff’s office additionally said that Watts is not currently able to receive visitors because he hasn’t been in the jail system for long enough. The Weld County coroner is conducting at least one autopsy related to the deaths of the Watts family Friday. The body believed to be Shanann’s was discovered on Anadarko property, officials said Thursday morning, and those believed to be Celeste and Bella were recovered from oil tanks nearby later Thursday, high-ranking officials told Denver7. Frederick police also told Denver7 Friday that they believe they have two or three more days of interviews to conduct related to the case. Weld County prosecutors have until 3:30 p.m. Monday to file formal charges against Watts. He is next due in court Tuesday at 10:30 a.m. to learn what formal charges he faces in the case. He is currently being held without bond for investigation on one count of first-degree murder after deliberation; two counts of first-degree murder – position of trust; and three counts of tampering with a deceased human body. For more on what we know so far about the Watts family murders, click here. Denver7's Blair Miller contributed to this report.